ARLINGTON, VA–(Marketwire – July 15, 2009) – The first Airbus A330 aircraft platform slated for the United Kingdom’s Future Strategic Tanker Aircraft (FSTA) program has arrived ahead of schedule to begin its conversion into a Multi-Role Tanker Transport (MRTT) at Airbus Military facilities in Madrid, Spain. 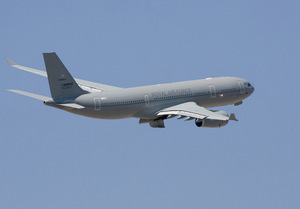 The Royal Air Force (RAF) tanker uses the same basic airframe as Northrop Grumman’s KC-45, which is proposed for the U.S. Air Force’s tanker fleet modernization. EADS North America is a principal subcontractor with responsibility for delivering the KC-45 aircraft platform, which will be produced at a new aviation center of excellence to be built in Mobile, Ala.
“This early delivery once again underscores EADS’ ability to provide the most capable platforms to meet the most demanding aerial refueling and airlift requirements of military services worldwide,” said Ralph D. Crosby, Jr., EADS North America’s Chairman and CEO. The United Kingdom’s FSTA program involves the acquisition of 14 A330 MRTT-based tanker/transports for the RAF. With a service entry planned for 2011, the new aircraft will progressively replace the country’s fleet of aging VC-10 and TriStar refueling aircraft. In addition to its selection for the United Kingdom’s tanker requirement, the A330 MRTT has been chosen by the air forces of Australia, Saudi Arabia and the United Arab Emirates. 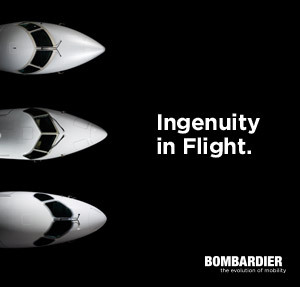 Three A330 MRTTs currently are in the military certification or conversion process for the Royal Australian Air Force. Australia is acquiring five of the aircraft, which will extend the range and endurance of its fighters with aerial refueling support, and provide long-range airlift for transportation of troops and cargo. The Royal Australian Air Force is to begin operational service in 2010 with the aircraft, which will be designated the KC-30 Tanker.